This is a sort of a corollary to Scott Snyder’s last issue of Detective Comics, cementing a new status quo in Gotham. But we’ve seen this all before. 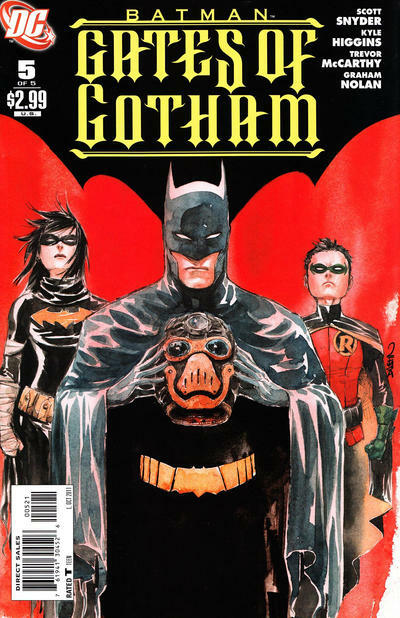 As workmanlike as the titular Gate brothers, it’s an unexceptional Bat-story that started well and has some good moments, especially for Cassandra Cain fans. Disjointed art and an unsteady creative team weakened what had the potential to be one of DC’s bright spots this summer. Sadly DC is too busy tearing down and then building up a new universe to worry what’s going on in the one that they’re selling to customers now. Gates of Gotham remains a strong story, and likely will read better in trade than it did in issue form. Also it’s nice to see Cassandra Cain back in a comic book where she’s not either randomly evil or being drugged/mind controlled into being evil.